All above you get with Private Label Rights which you can claim as your own product and put your name on them. The ebooks come with various formats like PDF, DOC and ODT format too. Should you become an amateur or professional magician? The business side of magic shows: What about costumes & makeup? Should you have an assistant? 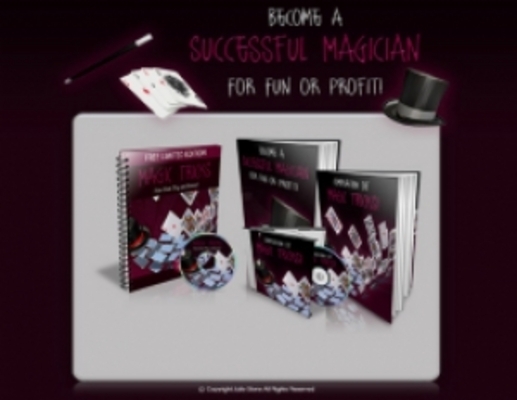 Why Do You Want to Learn Magic Tricks? What are the Easiest Tricks to Learn? How Much Practice Will it Take? How Many Tricks Should You Perform?